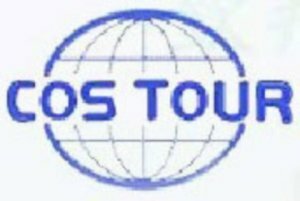 cos-tour , Cosmopolitan Travel Service Co.,Ltd. This is warmly welcome from Cosmopolitan Travel Service Co., Ltd., Cosmopolitan was established since 1996, through many years struggle and followed traveling environment changing, Cosmopolitan grow up steadily year by year, all of our business get more and more prosperity. we had honor to get from The Ministry of Hotel & Tourism to commend for the outstanding international travel agency in 1999. We joined to The Burmese Traveling Association (UMTA) in 2000, the same year we also establish branch office in Taipei city, and dispatched a senior specialist stationed in Taipei. Cosmopolitan - this resounding band was silently became leader during other traveling agencies. Cosmopolitan always insisted in honor principle service, always keep in high quality and efficiency services, we had own a warmly professional and experience work team, lets every passenger from the world whom visiting Myanmar all to be able to feel warmly, relaxed and happiness like the place on their sweet home.